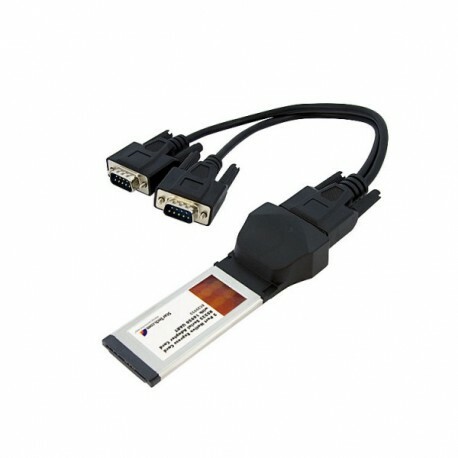 This 2 Port ExpressCard-based Serial Card lets you add 2 RS232 serial ports to your laptop or ExpressCard equipped desktop computer, using an available ExpressCard slot. 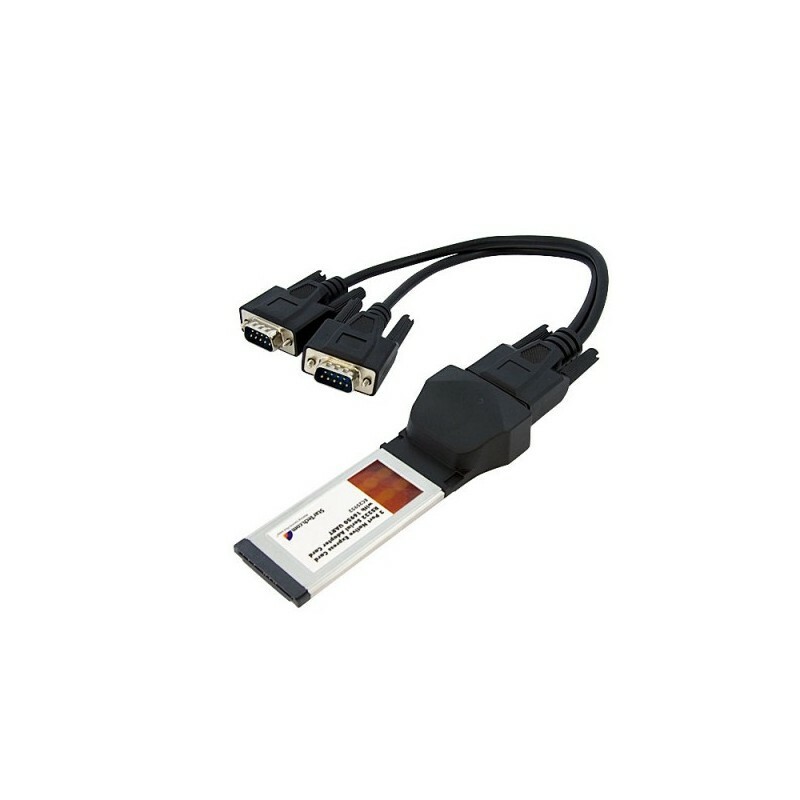 Featuring 128-byte FIFO communication, and a high performance 16C950 UART, the ExpressCard Serial Adapter card offers baud rates up to 115.2Kbps, which ensures peak communication with your serial peripheral devices. 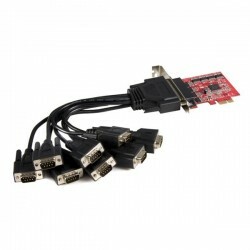 The serial card is designed based on a single-chip architecture (as opposed to cards that use a "bridge chip"), providing native PCI Express communication for greater performance and reliability, as well as reduced power consumption and CPU load. 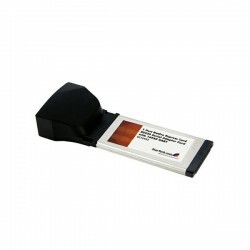 Compatible with ExpressCard /34mm and ExpressCard 54mm card slots, the 2 Port Serial ExpressCard includes a slot spacer for greater security while installed in 54mm slots.